I am pleased to share with you the wisdom of NCAA Division 1 Volleyball Coach of Georgetown University, Arlisa Williams. 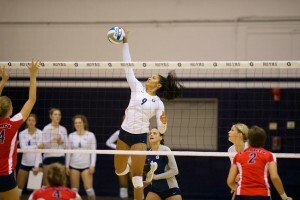 Arlisa Williams has coached 18 seasons as a Division I volleyball coach and 10 at the helm of the Georgetown University Volleyball program. Williams has spent the bulk of her career coordinating recruiting efforts as both an assistant and head coach. 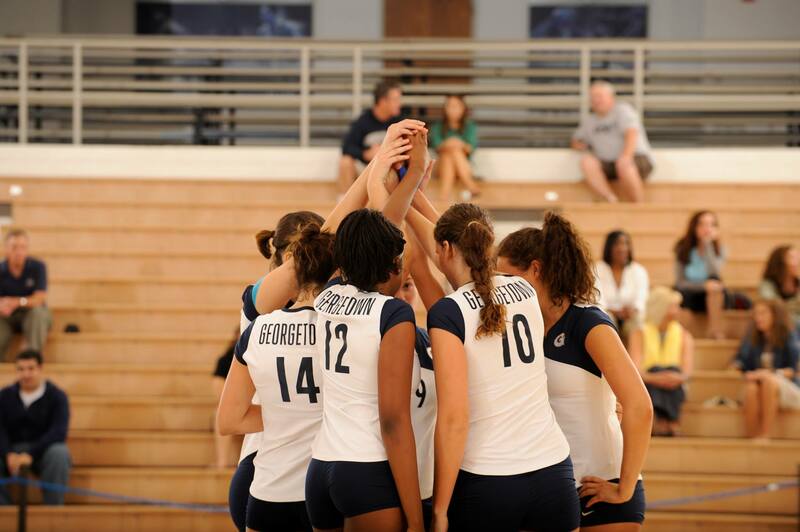 In her time at Georgetown, the Hoyas have had several recruiting classes that have received recognition from prepvolleyball.com including the #29 recruiting class in 2015. The best way for a recruit to get my attention is to play lights out all the time. There’s nothing like seeing a player leaving it all on the floor every time I walk past her court. Aside from us evaluating players at tournaments, I recommend they send a short email introducing themselves with a little bit of video. The information should include their name, year in school by graduation year (i.e. 2017), position, actual height (I’m going to meet them at some point so don’t tell me you’re 6’2 and you’re really 5’10), club, high school, email address and telephone number. While communication is important be reasonable. If she thinks she’s communicating too much, she probably is…..
How early do athletes need to be noticed to have a chance to play at a major Division 1 school? When is it too late? The timing is going to be dependent on the school. I would say typically, get on the radar during the summer between freshman and sophomore year. The bulk of the recruiting is going to happen during the club season of the sophomore year and the junior year. However, some programs start earlier and some programs look late. I don’t think there’s ever a time that is too late. We added four players to our recruiting class in 2015 during the spring of their senior year. That is unusual but it does happen. The biggest mistake I see is prospective student athletes ruling out schools and programs without enough information. Some players think they are not good enough to play somewhere or are too good to play somewhere and miss out on some great opportunities. I think that there is a general perception that everyone can get a scholarship, expect for maybe the DS/Libero’s. And that’s just not the case. Look at the number of girls playing volleyball. In any given year there may be 1,000 scholarships available. Everyone isn’t going to get one. If the school is the right fit for a player academically, athletically, and socially, considering a non-scholarship (walk-on) position may be beneficial. I don’t think enough players do. Lastly, it’s little things. I get phone messages with no phone number. I get video with no jersey number. My office phone is archaic – there is no caller ID. Leave your name and number, slowly and clearly, when you have to leave a message. And tell me who you are so I can make sure I’m watching the right player. A lot of recruits get confused by which coach is recruiting them and what that means? Can you talk about roles and interactions recruits can expect from assistants and the head coach during the recruiting process? Different program do things differently. Typically if any coach from a program is contacting you, the program has interest in you. The head coach is usually going to make the final decision. The assistant coach does the digging. If you only hear from the assistant coach and never the head coach, you are most likely not the highest priority recruit. But then again, it depends on the program so ask. The assistant coaches are going to do a lot of the email correspondence with you, texting, phone calls. The head coach will also email and work to get to know you but it may not be as frequently as the assistant coaches. No matter who you are interacting with, everyone is trying to determine if you are the best fit for the program, athletically, academically, personality wise. The recruiting process is a two way street. I think it’s fair to ask if you’re talking about a walk-on or scholarship position. If the player needs financial assistance to attend a specific university they should bring it up. There are other ways aside from an athletic scholarship to get financial assistance. Like I said earlier, the number of scholarships are limited in any given year. It’s always a good idea to know where you stand and to be ready to explore other means if you will need financial assistance. Recruits should also bring it up if they don’t need a scholarship as that may change the overall recruiting picture. A coach may like a player but not have aid in a particular year. Knowing that they would be willing to join a program in a non-scholarship capacity may impact the level at which they are recruited. That is going to depend on the university and the coach for sure. I have heard of programs offering to 8th graders. And have seen programs offer to players in the spring of their senior year. Typically, we see offers made during the second half of the sophomore year and all of the junior year. Typical response time is also varied. I think if a coach really wants a player, they will give them a decent amount of time to make an educated, well-informed decision. However, at some point the clock does start to tick. Coaches cannot afford to wait forever as we will lose other players. It is my belief that when a recruit is dragging out their response time, they aren’t really that interested in the offer and are looking for something better. How do you use social media when recruiting? 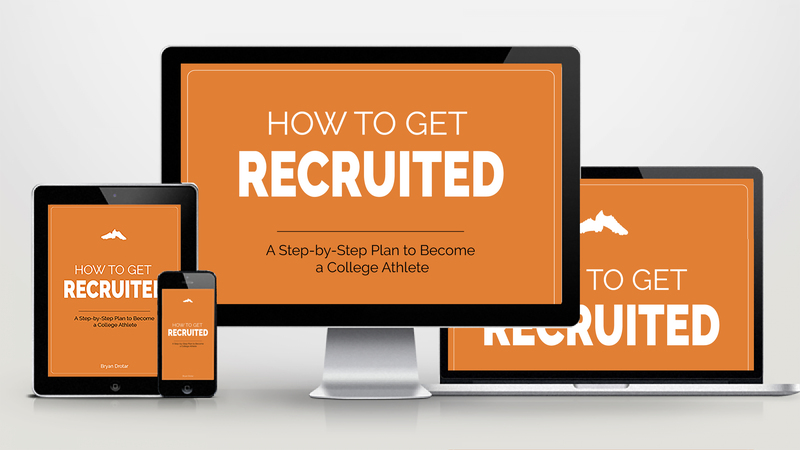 What is your advice to recruits about social media? We put information, pictures, etc on our Facebook, Instagram and Twitter pages. It allows people to keep up with what we are doing and get insight into who we are. Like the pages of the programs that you want to know more about. Don’t expect every program to like you/follow you back. That doesn’t mean they don’t like you, it just means they don’t have enough staff to keep up with you. Send me personal, important information via text, email, or phone. I will not recruit a player whose character is questionable. I pay attention to how they are as teammates, how they talk to their parents (especially their mothers) at tournaments and on their cell phones. I overhear conversations in the restroom and some make my hair curl. I won’t recruit questionable character. I think it is important to be other oriented/team oriented. One player cannot win a volleyball match. Players need to be able to put the team and their teammates before themselves. It’s all about serving others. You get what you give. It would be hard for me to recruit someone who didn’t give of herself. Sadly, many a parent has ruined the recruiting process for their child. I have come in contact with parents who were bullying and overbearing, who didn’t let their child speak, Who tried to control the entire process. If I can’t deal with a parent in the recruiting process, it will be tough to deal with them for the four years their daughter would have been in my program. I may be coaching the daughter but especially in this day and age, it’s a family affair. Each person is different. The recruits need to look for what is important to them while on the visit. I think it boils down to three major things, and academic, athletic and social fit. If all three areas work, then the student will have a good career. Athletic fit: Are they recruiting your position? Is their light at the end of the playing tunnel? How soon? Can you buy into, believe and live the coaching philosophy? Can you see yourself playing with the players in the program? Social fit: If for some reason you weren’t playing volleyball, could you see yourself still being happy at that school? The stories are too many to tell. Employers look for people who are team players, disciplined, can work under pressure. Athletics prepared them for that. They know how to balance and prioritize. They take risks. They communicate effectively. And we practice at 7am so they are always on time to work…..
My players show up because they love the sport. They have a passion to play and a desire to leave a legacy here. For each person it’s different. Some players show up and work hard because they love being a part of a group. They have an immediate cohort and build relationships for life. Some players show up for the scholarship. I don’t think you can have a fulfilling experience if it’s only about the money. But you get college paid for in the short term which will open doors in the long term. The process is a two way street. As much as a recruit wants the coaches to like them, the coaches want the recruits to like us too. Recruits need to ask the hard questions and not just give answers that you think a coach wants to hear. If you go somewhere without getting all of your questions answered or put on a face that is not really authentic, your experience may not be as good as it should be. I have touched a few times. It’s important to have the right fit academically, athletically, and socially. That’s going to look different for every person but if you don’t have the right fit in one area, all areas will suffer. Do your homework! Arlisa Williams completed her 18th season as a Division I volleyball coach and her 10th at the helm of the Georgetown University Volleyball program. Williams has spent the bulk of her career coordinating recruiting efforts as both an assistant and head coach. 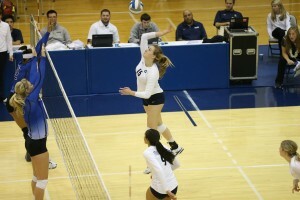 In her time at Georgetown, the Hoyas have had our recruiting classes that have received recognition from prepvolleyball.com including the #29 recruiting class in 2015.